Fall: the season where the leaves outside begin to inspire our indoor décor. As the weather begins to get crisp and even chilly during the evenings it is officially time to begin change up our décor. With that being said, it only makes sense to bring you cozy ways to decorate your home with traditional and modern fall colors. Let nature inspire you with its natural beauty, plus let’s not forget fall is the perfect time to experiment with new hues. Not a fan of green walls? Well then keep it simple and add green curtains! Curtains are great for seasonal decor as you can change them as often as you would like. Green is such a beautiful, daring hue that it makes perfect sense to use it for fall. 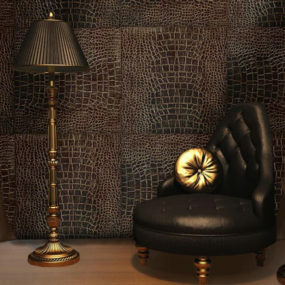 For a touch of classic drama add an accent wall with a bold shade of green. 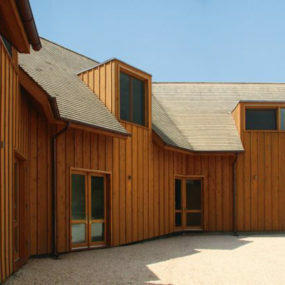 Doing so bring elegance with a modern twist. Additionally, you have the option of adding other hues of green throughout exactly where you want them to be to have an even grander effect. 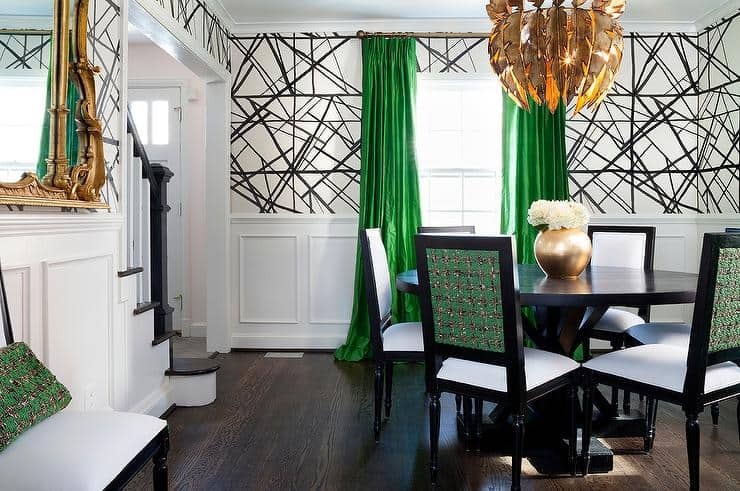 You might even want to consider a green wallpaper for your dining room. If you already have multiple colors in the room, go for a gray accent touch by adding gray accent chairs. Furthermore, add uniquely shaped accent chairs to further emphasize the appeal. 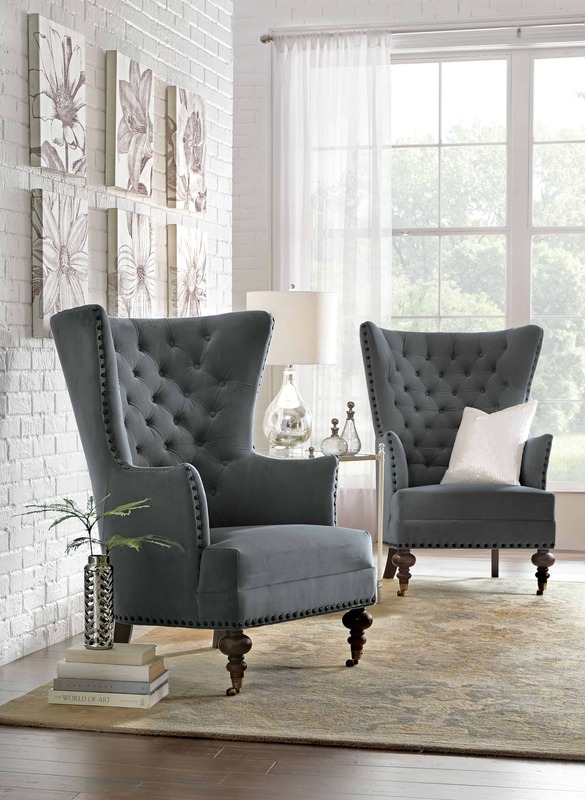 Who doesn’t love a cozy accent chair? Accent chairs are great when you want to add color and texture to a room without disrupting what you already have going on. Choose a bold green, gray or orange accent chair and allow it to make a well-intended statement while keeping the rest of your décor simple and put together. 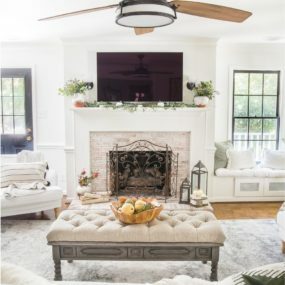 Just because you’re using neutral, earthy tones doesn’t mean you need to go “boring.” Add in shades of green, black or even lavender for a twist that is still part of the neutral appeal. 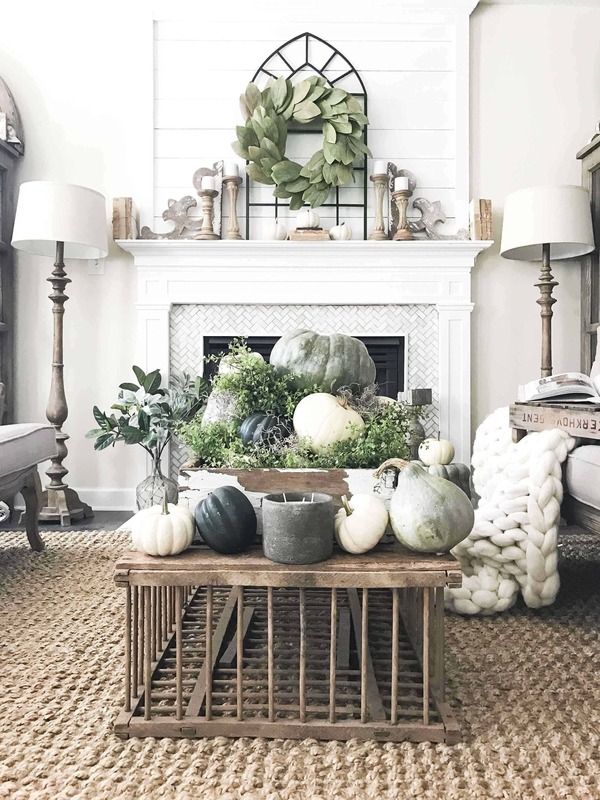 Earth tones are not only back on trend but they’re perfect to create a cozy atmosphere that works all-year-round. The idea is to blend in richer, darker hues and have them work with simple, neutrals that make a beautiful blend between the color. You might even want to add plaid to those similar colors to bring character and texture. Why change a classic? 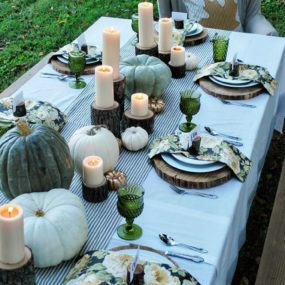 If you have a wood table as part of your dining room, keep it as is and add fall decor to bring a romantic, rustic vibe. 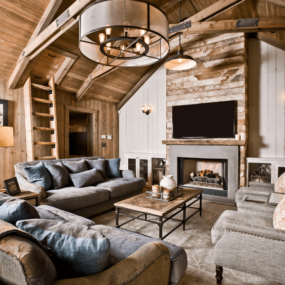 We love the idea of wood for the fall time, not only is it rustic and makes the perfect cozy addition to the home but its soft and subtle in its own manner. Wood is one of those elements that add to a room while working with the décor you already have, think of it as a stark touch that brings a room together without much time or effort needed from it. Your mantel should feel part of your decor, it shouldn’t be bare. 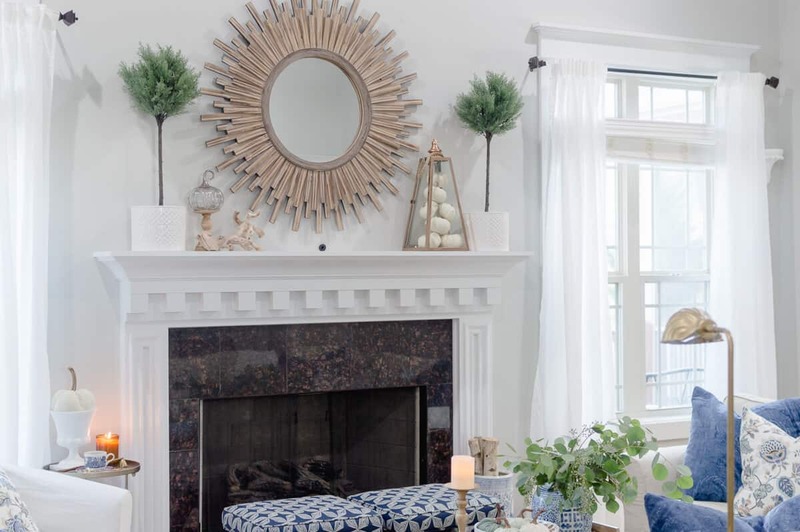 Therefore, when focusing on your fireplace focus on your mantel as well and have your decor facing both. If you’re lucky enough to have a fireplace, fall is the perfect time to embrace and make it the focal point of a room. Decorate your fireplace with festive fall hues for a fun addition that brings color into the room. Furthermore, you want to decorate around your fireplace to bring that cozy aesthetics that is homey as well. Your mudroom deserves to be decorated as well. Add a throw blanket with a buffalo plaid print for a warming effect that your guys can enjoy as they remove their shoes. Buffalo plaid screams fall, it’s a beautiful blend of colors that come together to create a warm, display. Add a buffalo plaid throw pillow or blanket, having this makes it easy to remove when warmer weather comes around. Its also an easier way to implement the trend and season without the heavy commitment other decorative aspects tend to display. Your dining room doesn’t have to be large for you to embrace every inch of it. 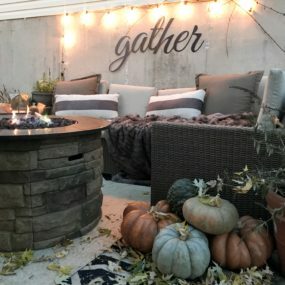 Add in a wood table and a bench and allow the space to feel like fall right from the beginning. Don’t forget to add a hint of pattern. 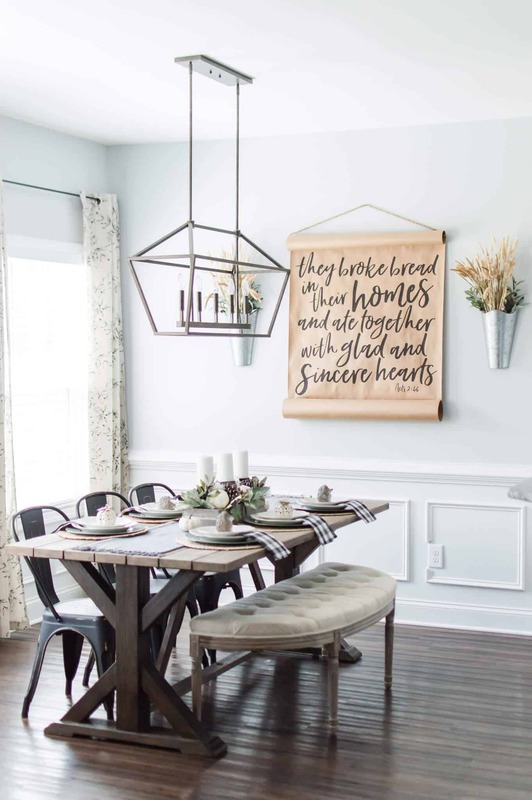 Your dining room is essentially one of the best places to implement stark signature season décor. 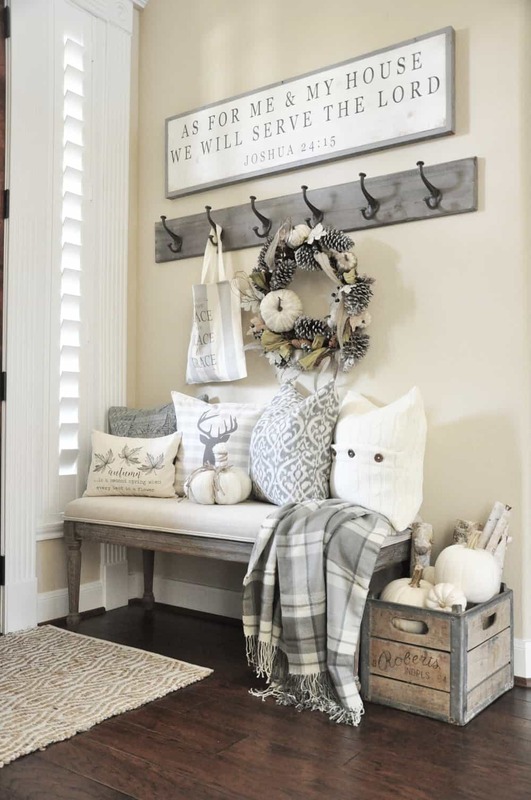 You might even want to add a bench for a rustic appeal in a simplistic manner. 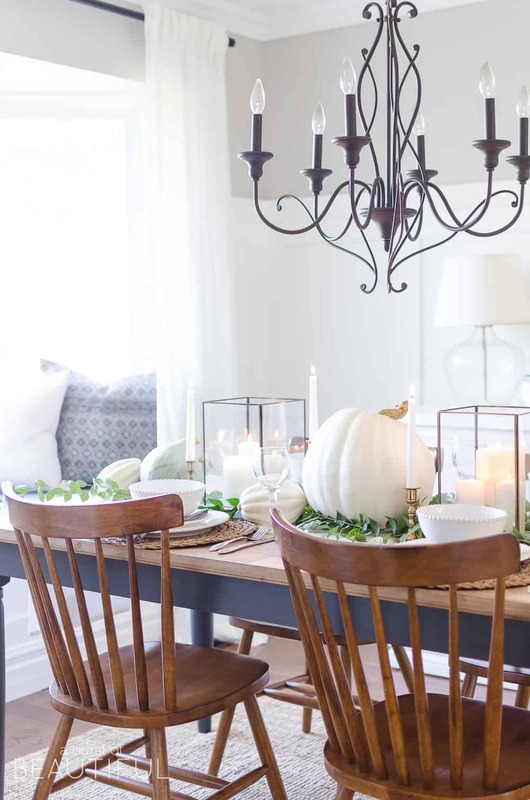 Additionally, having the bench gives you more seating for holiday events such as Thanksgiving or Christmas, which is when family tends to gather around the table and enjoy each other company. 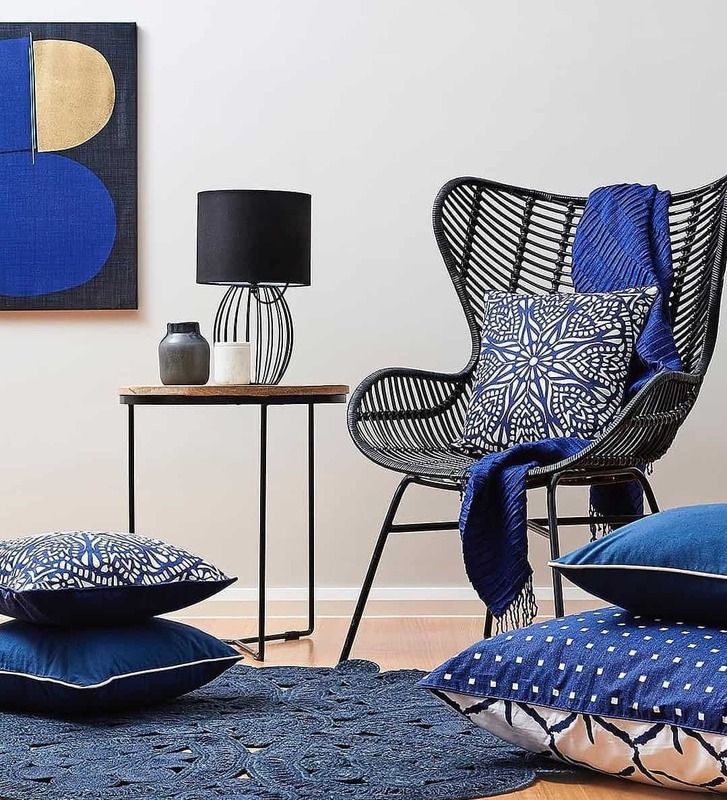 Add in cobalt blue chairs for the perfect contrast, this works particularly well when you want to have an accent hue that brings a beautiful display even in the neutralist rooms. Blue is such a beautiful color that it only made sense for us to use it during the chillier months as well. Blue is perfect for the fall season because it brings character to any room. We specifically love it as part of the kitchen island stools, there’s just something about the color blue that brings a mysterious touch that is cozy and charming all at once. 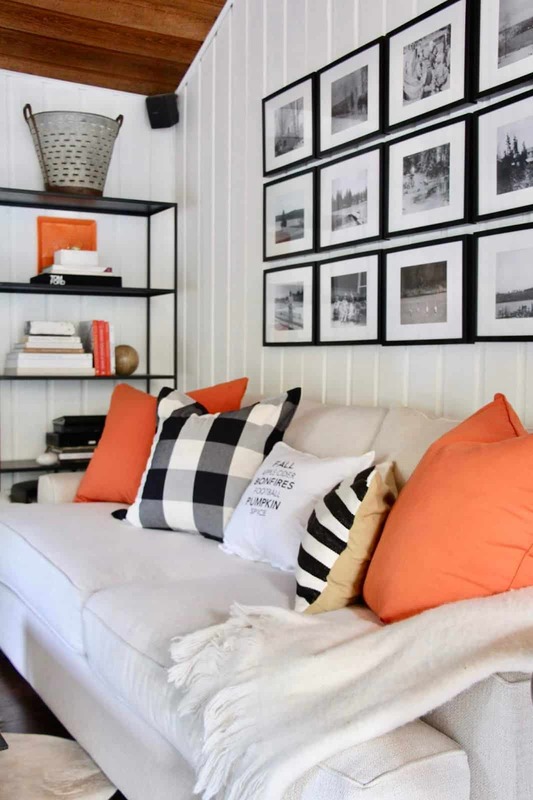 Add orange throw pillows to complete your fall decor, pair it with plaid patterns to bring forth your decorating style. Bring on the orange, who doesn’t love bits of orange during the fall?! It’s the perfect color to bring a fall vibe while still being fun and chic. The key is adding it in slowly yet surely and making the space feel warm. 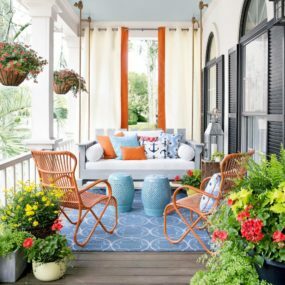 Keep it simple and add orange bits that bring that classic appeal that comes to life when it is paired with other simple colors. The bigger the rug the better! 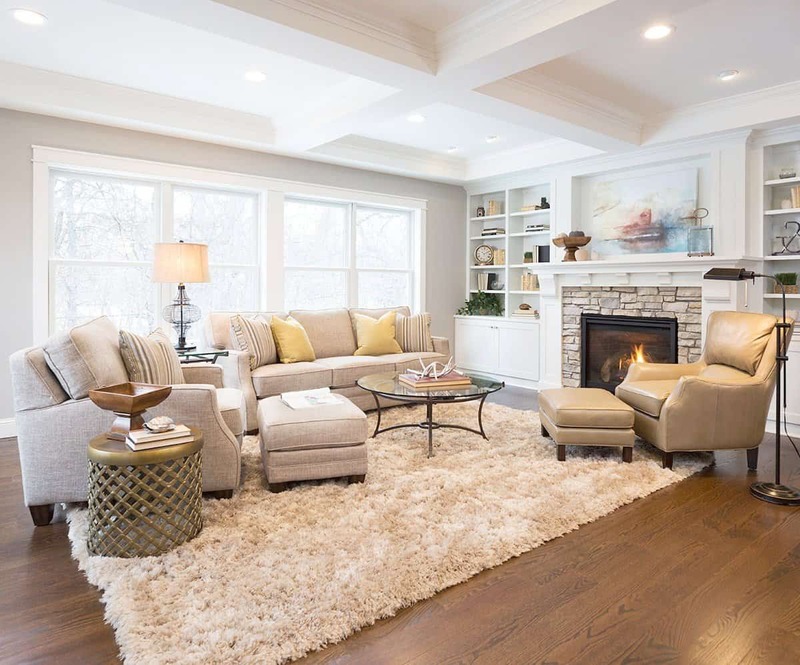 Who doesn’t love having a fluffy, soft rug to lay your feet on or lay on the floor while enjoying the warmth of your fireplace. If you do not have a rug in your living room run out and get one. Having a rug can make a room come to life with a cozy, simple feel. You want to have a large run that fills the room without taking away from the room. Keep it simple, keep it chic and allow your space to feel personal and welcoming all at once. 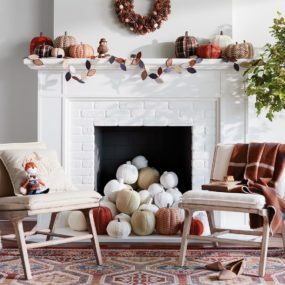 How do you add a cozy touch to your home during the fall? Share with us below.